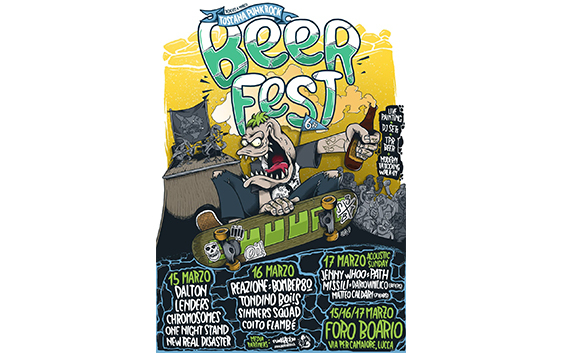 We are pleased to announce that Toscana Punk Rock will celebrate its 13th birthday with the sixth edition of BeerFest, which will take place at Foro Boario in Lucca on 15/16/17 March 2019. Chromosomes: Leghorn punk rock formed in 1993! Coito Flambè: sarcastic punk from Lucca! Jenny Woo,: acoustic oi project! In addition there will be live paintings, DJ sets, TPR beer and even a modern tattoo walk-in! What are you waiting for? Take pen and paper and save the date!